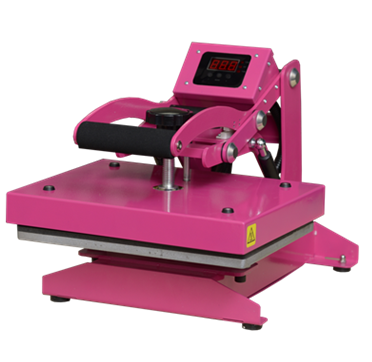 The Craft Press is a great home heat press for any entry level business or home hobbyist. It’s ideal for a crafting business. The Craft Press is 9"x12". This makes it the perfect size for pressing your shirts, pillow cases, towels and much more. The Craft Press is also the perfect press to travel to craft shows, trade shows, or game day set ups for on the spot personalization. • Platen size is 9"x12"